Meeting and help on entry and exchange to lodging enroute going to the city voyage through Kuala Lampur. Evening appreciate Malaysia Cultural Show with Dinner (Mesmerize with playful customary and social exhibitions. For around 60 minutes, the Dancers will display a choice of Asia's rich social legacy with contemporary and social execution which incorporates Minangkabau, Chinese, Indian, Portuguese moves. The move variety portray distinctive race, statement of faith, custom, culture and religion, the feeling of regard wins among all group in Malaysia. Joining Malaysian style and global famous top picks, go ahead down and enjoy Malaysian cooking getting it done!). Overnight in Hotel. Morning after breakfast Enjoy half-day Kuala Lumpur Countryside Tour (Batu Caves) and for the individuals who are brave, you may climb up 272 stages to appreciate the great Hindu Temple and Limestone Cave. Next, continue to Genting Highlands. Upon landing, take a link auto ride to the pinnacle. Free at Leisure. 6.00pm - Transfer to KL. Overnight in KL Hotel. Morning after breakfast leave Kuala Lumpur at 8.00 a.m. With a short refreshment stop in the middle of, we touch base in Malacca in around 2 1/2 Hours. On landing, visit St. Diminish's Church (1710) - the most seasoned Christian Church still being used in Malaysia. Drive past the biggest seventeenth century Chinese burial ground outside of China, situated at Bukit China or Chinese Hill. Stop at the foothill to see the Sultan's Well before driving through the Portuguese Settlement. Continue to see the Famous door "Porta De Santiago" and the remnants of St. Paul's Church lined by seventeenth century Dutch headstones. Next on the rundown is "Red Square" - the salmon-pink Dutch managerial building which today houses the Malacca Museum and some other government workplaces. Visit Christ Church before continuing for lunch at a neighborhood eatery. After lunch, we visit the "Adobe of the Green Merciful Clouds" or the Cheng Hoon Teng Temple - the main sanctuary where you can discover 3 noteworthy conventions of nearby Chinese conviction under a similar rooftop, viz: Taoism, Buddhism and Confucianism. Go for a walk along Malacca's "classical road" which closes by the banks of the Malacca Rivers. Leave Malacca at 3.30 and continue to KLIA for flight to Singapore Arrival Singapore. Exchange to inn. Free at possess recreation. Morning after breakfast Pickup from Hotel for Half Day Jurong Bird Park visit. Find a bright heaven at Asia's biggest feathered creature stop. Home to more than 5,000 flying creatures more than 400 species, Jurong Bird Park is one of Singapore's must-visit attractions. After visit, exchange back to inn. Toward the evening, 1.30PM, pickup from inn for Sentosa Tour. Board the link auto from MT. Faber. Find the sensational universe of life in the sea at the world's biggest aquarium at Resorts World Sentosa Singapore. Venture into S.E.A. Aquarium and inundate yourself in an enchanted marine world seen through our planet's biggest window to the sea. Appreciate a skyride and slide down the slopes with the Luge, the first and final part go-truck, part-toboggan ride in Southeast Asia and anticipate that an adrenalin surge will your faculties. The Tour closes with Wings of Time, a stunning presentation of laser lights and firecrackers. Visit end at 8.30PM. Exchange back to inn. Morning after breakfast continue for city voyage through Singapore for 3.5 hrs. We start our excursion from Suntec City to see the Fountain of Wealth before proceeding with towards the Padang zone, trailed by a stop at the Merlion Park where you can bring delightful pictures with the Singapore symbol. 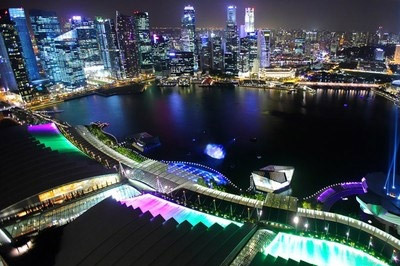 Other noticeable attractions here incorporate the pleasant Fullerton Hotel, the Esplanade, the Singapore Flyer, Marina Bay Sands, the Helix connect. Appreciate an espresso/tea session with toast before continuing to Chinatown where the renowned Thian Hock Kheng sanctuary can be seen. The last leg of the visit conveys us to the Jewel Box, Singapore's notorious peak goal up on Mount Faber to get an intriguing perspective of the city horizon before completion off at the Jewelry Wholesale industrial facility. At 5.00PM, Begin the night with a ride on the credible Bumboat from Clarke Quay, encounter a voyage down the notable conduits for an uncommon look at old shophouses and godowns, After which, appreciate an extravagant supper with a decision of Western or Indian food at a neighborhood eatery. Next, we continue to the honor winning Gardens by the Bays ("Top Ten Indoor Gardens of the World" by FoxNews) and enter the CLoud Forest, a baffling world hidden in fog, With a 35-meter tall mountain canvassed in rich vegetation covering one of the world's tallest indoor waterfalls, the Cloub Forest shpowcases vegetation from the wet and cool good countries, including assortments of orchids, sensitive greeneries, brilliant bromeliads, astonishing begonias and flesh eating pitcher plants found revelation zones. Appreciate the dreamlike Cloub Walk as you walk around the treetops and down into the cvern and valleys if a tropical montane. At the point when dusks, the Supertreeea wake up with a light and sound show. Take a night perspective of our Financial District as we drive by and end at Raffles Hotel, famous for being the host to various universal celebrities and dignitaries. End of our administrations with takeoff exchange to the air terminal to load up flight for your ahead goal.